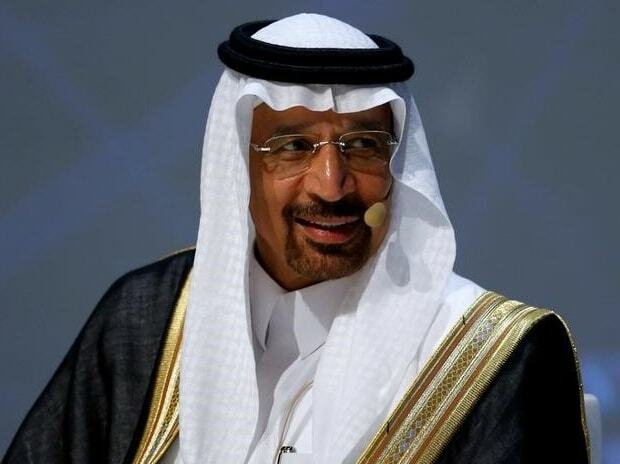 Saudi Oil Minister Khalid al-Falih is making his second visit to India in less than three weeks to attend the wedding of richest Indian Mukesh Ambani's son Akash. Akash Ambani is tying the knot with Shloka Mehta, daughter of diamantaire Russell Mehta and Mona Mehta at a grand ceremony in Mumbai on Saturday. Sources privy to the development said the Saudi oil minister will visit Mumbai for the wedding and will also make a brief stopover in the national capital to have a conversation with Oil Minister Dharmendra Pradhan and other industry leaders. Al-Falih, who has known Ambani for over a decade now, had previously travelled to Udaipur in December last year to attend the pre-wedding festivities of Ambani's daughter Isha's marriage with industrialist Ajay Piramal's son Anand. Akash and Shloka's wedding will take place at the newly built Jio World Centre in Bandra Kurla Complex in Mumbai. The wedding festivities kickstarted on February 23 with a grand bash in St. Moritz, Switzerland. The couple got engaged in June 2018 and celebrated the occasion with a string of lavish parties in Mumbai. Al-Falih last visited India on February 20 as part of the high-level delegation that travelled with Saudi Crown Prince Mohammed bin Salman for a bilateral visit. When he last visited the Ambanis in December 2018, the Saudi oil minister had tweeted that the world's largest oil exporter Saudi Arabia and Ambani-run Reliance Industries are discussing joint investments in petrochemicals, refinery and communications projects. At the time of the February 20 visit, Saudi Aramco CEO Amin Al-Nasser had spoken about talks with Reliance for investments in refinery and petrochemical projects. Reliance plans to expand its only-for-exports SEZ refining capacity to just over 41 million tonnes from the current 35.2 million tonnes but does not have any plans to set up a new refinery in the country. It is presently focused on expanding petrochemicals and telecom business, industry sources said. Saudi Arabia, on the other hand, is keen to get a foothold in the world's fastest-growing fuel market so as to get a captive customer for the crude oil it produces. Saudi Aramco, the world's biggest oil company, and its partner Abu Dhabi National Oil Co (ADNOC) have picked up 50 per cent stake in a planned $44-billion refinery in Maharashtra but the project is facing problems in land acquisition. Aramco and ADNOC will together hold 50 per cent stake in the 60 million tonnes per annum (MTPA) refinery and adjacent 18 MTPA petrochemical complex planned to be built at Ratnagiri district of Maharashtra by 2025. India has a refining capacity of 247.6 million tonnes, which exceeds the demand of 206.2 million tonnes.